2mm Round Forever One DEF. Equal to. 03 Carat Diamond. Certificate of Authenticity and Warranty Included. Clarity : SI2. Shape : Round Brilliant Cut. Carat Weight : 2.34 Ct. ·It will not look like a piece of rock salt, like cubic zirconia, after two weeks. Country Of Manufacture : India. Color : Brown. The Side stone is simulated diamonds. Shape : Cushion Cut. Carat Weight : 2.47 Ct. MM Size : 8.33 X 8.38 X 5.30 mm. Brilliance/Refractive Index: 2.65 ( Better Than Mined Diamond's 2.42). The Side stone is simulated diamonds. These diamonds are in every respect like natural diamonds except hardness. Clarity: SI2. MM Size: 8.95 X 5.98 MM. 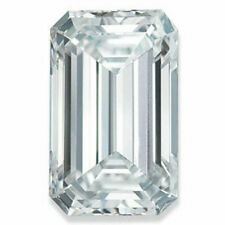 Carat Weight: 2.84 CT. Shape: Round Brilliant Cut. ·We are the direct sources of Diamond in Surat (India). Country of Manufacture: India. Color: Brown. ·It will not look like a piece of rock salt, like cubic zirconia, after two weeks. Most near-colorless diamonds trend toward the yellow end of the color spectrum, but this exceptional gem trends toward a very subtle ice-blue instead. This makes the gem anexcellent choice to set in a yellow gold setting, which should in turn give the gem an almost perfect "colorless" appearance, since the color yellow absorbs and cancels the color blue. 1- 9x4.5mm Marquise -. 75 Carat Diamond Equivalent. The process is lengthy, complicated, and expensive, which limits the output (it takes 2-3 months for the creation of a single gem). New From Charles and Colvard. Shape: Round Brilliant Cut. MM Size: 7.72 X 4.92 MM. Color: Light Brown. 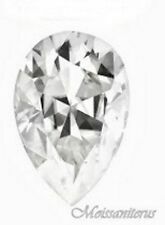 ·It will not look like a piece of rock salt, like cubic zirconia, after two weeks. Cut: Excellent. Carat Weight : 3.53 Ct. MM Size: 9.87 X 6.35 mm. Shape : Round Brilliant Cut. Country Of Manufacture : India. Color : Brown. ·It will not look like a piece of rock salt, like cubic zirconia, after two weeks. Their chemical components are different, although they look similar from appearance. Yes, we can. As we told before that we have our own factory. If we have the material you want, our factory can make the products for you if you show the clear draw to us. FOREVER ONE Colorless White ! Forever One ! Includes Certificate of Authenticity from Charles & Colvard. Each Jewel is micro Laser Inscrided by Chalres & Colvard on it's girdle with "Forever One". Charles and Colvard “CERTIFICATE OF AUTHENTICITY & WARRANTY” Included. TEST PASSED POSITIVE. 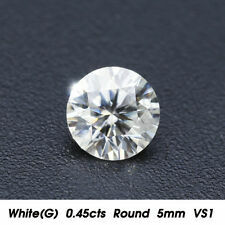 3.47 Ct = 10.2 mm VVS1 H/I color. Feel free to take our stone with certificate to your jewelers to get it tested. Stone Shape: Round Cut. Color: G-H-I. All weights are diamond equivalent and are for informational purposes only. Presenting the ultimate, pure, white, and incredibly brilliant gemstone, Charles. and polished. We will then send you an RA#. Moissanite, the gemstone discovered in a meteor crater that crashed to earth, is an incredibly great option for people who don't want to or can't use diamonds. Moissanite jewelry has been around for a long time, yet many people still don't know much about it. If you're in the market for loose moissanite, the following tips can help. 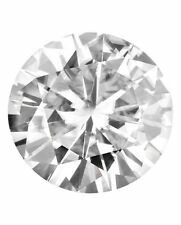 Recognising the differences between loose diamonds and loose moissanite? ALthough they look very similar, there are several key differences between a diamond and moissanite. Moissanite is brighter than a diamond due to the way that it disperses light, making it perfect for people who are looking for lots of sparkle in their stones. A diamond is the hardest gemstone with a hardness rating of 10, while moissanite is right behind it with a hardness level of 9.25. When it comes to color, moissanite has more color than a diamond, netting out on average at about a "k"-color rating and occasionally featuring a tone that is often referred to as yellow or pale greenish. 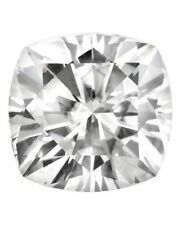 Can you use moissanite as side stones? 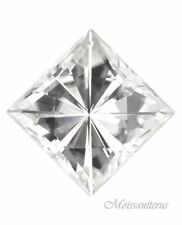 The great thing about moissanite is that you can use it in the place of diamonds as side stones in your jewelry. They provide all the sparkle you want but cost a lot less than diamond side stones, allowing you to go all out when designing your jewelry. How long does Moissanite last? One great advantage of moissanite is that it lasts as long as a diamond, making it a stone that you can purchase and pass down from generation to generation. These stones are commonly put in the same quality setting that you'd use for a diamond so that the stone remains secure over time. 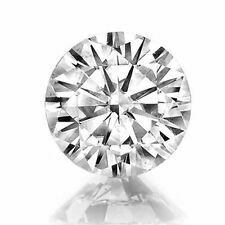 Moissanite is available in the same cuts that diamonds are available in. Those cuts include round, oval, cushion, emerald and square brilliant cuts, which are the moissanite versions of princess-cut diamonds. 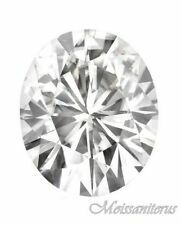 Keep in mind that moissanite is much more brilliant than diamonds, so depending on the cut you get, you could be dealing with an extremely bright ring. Another alternative is to consider choosing smaller moissanite stones in a setting.